AND THIS IS HILLARY'S "O" FACE AS IN "OMG! I'M GOING TO PRISON! 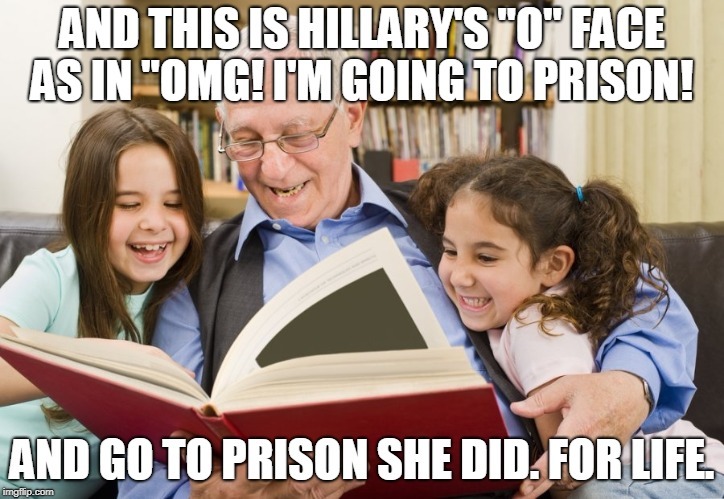 AND GO TO PRISON SHE DID. FOR LIFE.